Lost In The Warp: Building my Iron Kingdom 2 - Danger High Voltage! Building my Iron Kingdom 2 - Danger High Voltage! 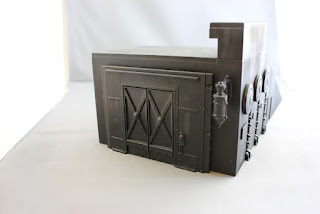 A while ago I posted that I was building some Iron Kingdoms scenery for myself - starting with a Warjack Repair Shop built from some Tech Deck skateboarding toys. I was really enjoying this work so have created another building from more of the toys. This one I envisioned as a power station in this mining/outpost town. 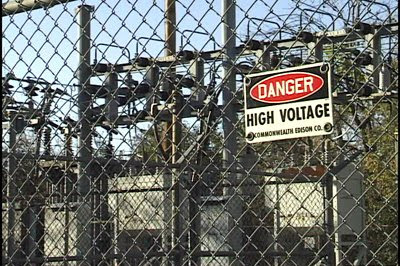 I wanted to give it a dangerous feel - not unlike a fenced off power transformer station with lots of warning signs etc. 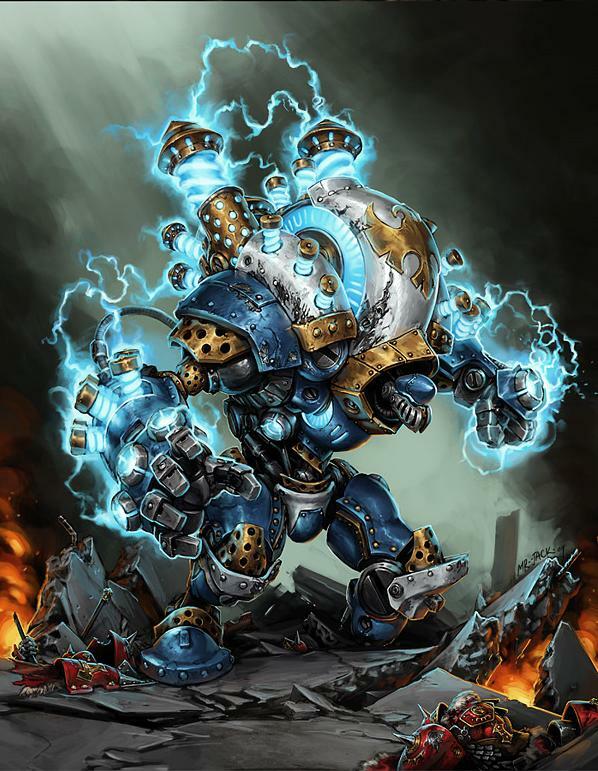 And I wanted it to be similar to the electrical aspects of some Cygnar 'jacks and the Storm Strider to really fit the setting. While Cygnar is definitely not my army of choice, I do love the crazy mad science "electrical" aspects associated with that army. I started with another of the ramps. The circular sections on the side reminded me somewhat of the porthole style glowing sections on the Storm Strider and the shape lent itself well to adding a set of the big industrial doors from the GW buildings sets. Also judging by the shape it seeems that most of the works would be contained underground which I also think fits well with the mining outpost kind of feel and also with my Rhulic sensibilities. 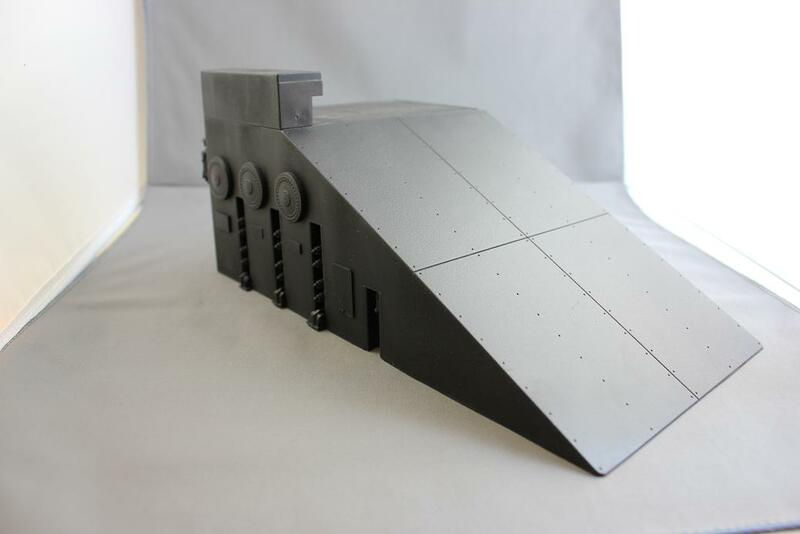 Wanting to emphasise the high voltage/power transformer feel I took a bunch of the power pylons from the Warhammer 40K Battle of MacRagge set and with my trusty razor saw sliced them in half and mounted them along the sides of the ramp/building. I used some plasticard to make little warning signs and added an access ladder. 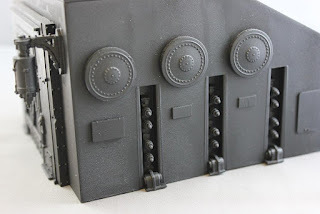 More bits from 1/35 model tank kits add some further details such as a small grate, some industrial piping and venting stacks, a couple access hatches etc. Overall a fairly straightforward build that I am looking forwad to painting! Once I finish building a couple more pieces I will begin painting them all together. I like to paint several scenery pieces together at a time so that the weathering and finishes are fairly consistant and clearly related from one piece to the next. 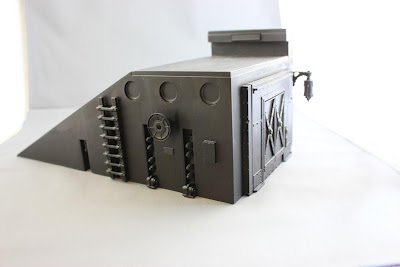 On an unrelated note my incredibly talented friend Shawn Welte (PPC from Madhouse Workshop) and I have set ourselves a super cool little scheme/project which will be cross posted between our sites. Stay tuned for more info about that!